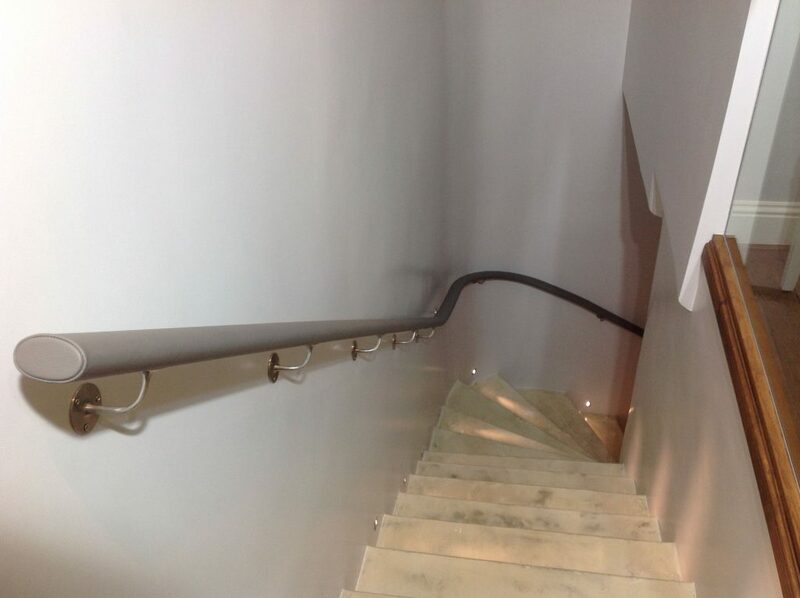 Residential leather handrails - add luxury to your interior. Your interior designer is no longer calling your mobile every 5 minutes. The painters have moved out and your home refurb is complete! Your new furniture is being delivered as we speak, yet one of the most frequently used spaces in your home is still lacking … your staircase handrail. An easy solution that not only looks good but also feels and smells luxurious, is to have your handrail clad in leather. Leather can be applied on-site quickly, without fuss or mess, and will transform your existing handrail into a thing of beauty. The leather options are endless: every colour you could possibly imagine; pigmented to aniline, embossed and metallic! Send us images of your existing staircase and we’d be happy to give you a quotation and send out leather samples. View examples and get in touch.